TORONTO FILM. 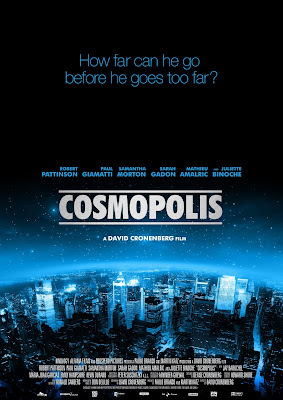 NET: "Cosmopolis": How Far Can He Go Before He Goes Too Far ? 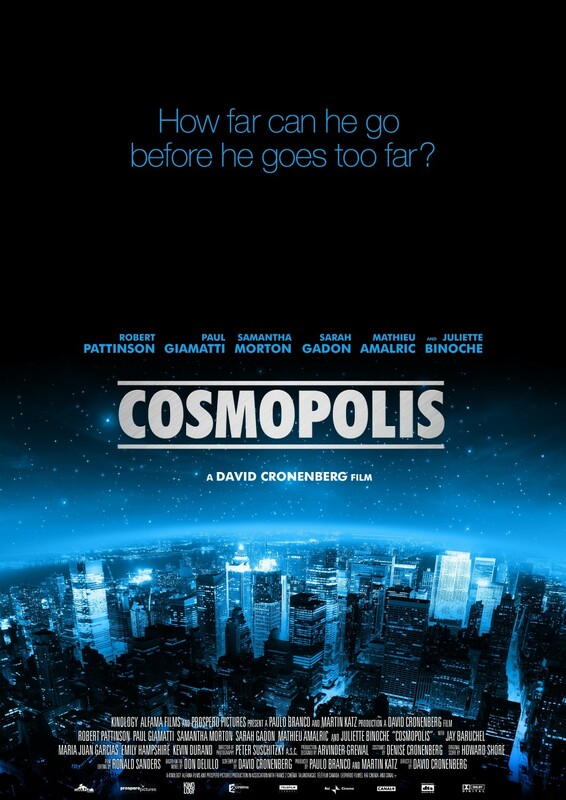 "Cosmopolis": How Far Can He Go Before He Goes Too Far ? 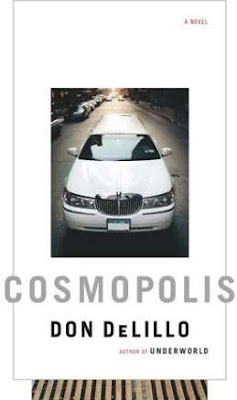 Sneak Peek the new poster supporting the Toronto-lensed feature "Cosmopolis", directed by David Cronenberg, starring Samantha Morton, Robert Pattinson, Juliette Binoche, Paul Giamatti and Mathieu Amalric , based on the novella "Cosmopolis" by author Don DeLillo. The Canadian-France co-production is being produced by Paulo Branco through his Paris-based Alfama Films Production and Martin Katz of Toronto-based Prospero Pictures. "...'Cosmopolis' is a contemporary thriller about a hedge fund trader who is stalked while his fortune evaporates under the weight of his cynical bets against the survival of the global economy..."
Grégoire Melin's Paris-based Kinology will handle International Sales, Entertainment One will handle distribution in Canada and RAI Cinema SpA will distribute in Italy.